My love for chai tea and hot chocolate is unreal. So combining them together to create this dairy free chilled beverage was probably the best thing I ever did. This Frosty Chai Hot Chocolate will take your taste buds to so many heavenly places! Oh my! What a week it has been. From meetings and event preparations to catering my recipes, its been a crazy busy couple of weeks. One of the many ways I relaxed this week was indulging in this frosty delicious beverage. Although the process of making this wasn’t exactly relaxing, the aftermath was totally worth it! Chai tea is my favorite tea mainly because of all the wonderful spices that are used to make the tea. I find the flavor very rich and soothing especially during the cold season. However, all the running around I did the past couple of weeks definitely worked up a craving for this frosty chai hot chocolate beverage. Luckily, I had some left over hot chocolate I had made a few nights ago stored in the refrigerator, so I figured why not try something fancy and enjoy my life! Alright, you guys get the point, so now moving on. The best part about this lovely beverage is, wait for it, it’s dairy free! Even the whipped cream is dairy free! plus it’s also low in sugar which makes this beverage perfect for those who want to stick to their New year’s resolutions. 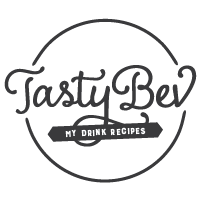 I added a little extra TLC when making the chai tea which you will find in the recipe instructions. I do recommend making the chai tea a day in advance to cut down the prep time, although this is totally optional. Happy hump day everyone! 1. In a large saucepan, combine the tea bags and all the chai tea spices with the hot water. Place the saucepan over medium high heat until it starts to simmer. Add almond milk and agave and reduce the heat to medium low. Let it simmer for another 5 minutes before turning the heat off to let it steep. 2. When ready, strain chai tea with a cheese cloth into a bowl and discard the spices. Set up your blender and add ice, chai tea and hot chocolate. Blend until smooth and pour into 4 latte glasses. 3. To make the coconut whip cream, scoop out the cream from the top of the can into a bowl. Whip the coconut cream with a dash of agave and top your latte glasses with 1 tablespoon. Enjoy!